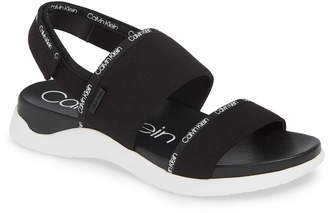 CALVIN KLEIN 205W39NYC's 'Camelle' sandals have a wide range of fans, including Nicole Kidman, Margot Robbie and Selena Gomez. 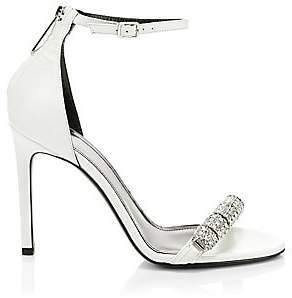 This white leather version has been made in Italy and is defined by the shimmering mismatched crystals - one row sits along the slim toestrap, while the other wraps around the ankle. 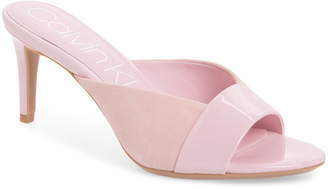 Showcase yours with asymmetric or mini hemlines. 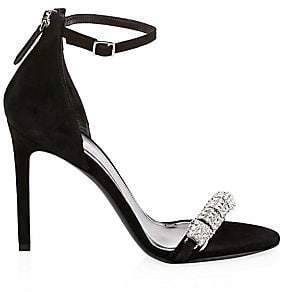 -- Heel measures approximately 105mm/ 4 inches - White leather - Buckle-fastening ankle strap, zip fastening along back - Made in Italy Small to size. See Size & Fit notes.